There are many people who have to venture out in the world for work. 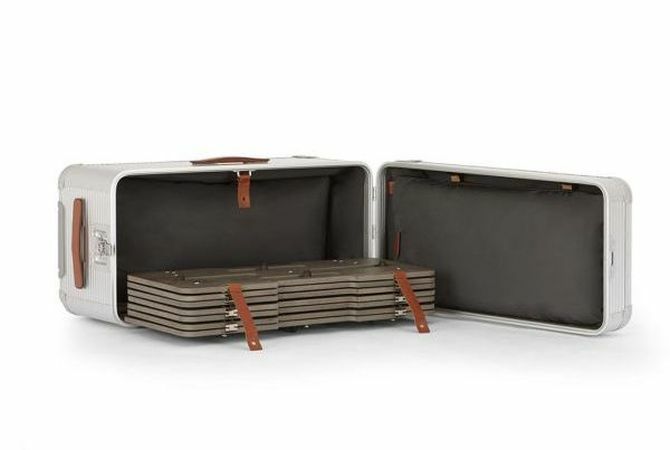 So, these minimalist looking double-duty suitcases are created to help them capture their surroundings easily. The Bank Workstation hideaway a compact and luxurious wooden desk along with wood cabinets, as well as, leather and wood chair. 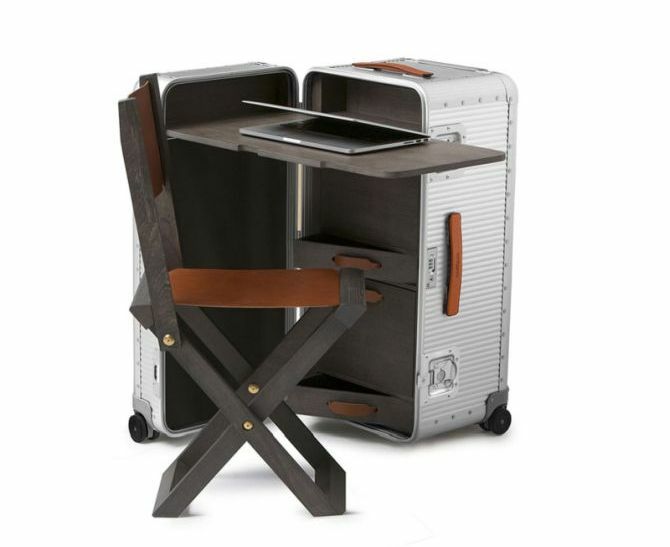 When locked, it looks like a minimalist aluminum suitcase but folds out to form a convenient workstation for working from any desired location. 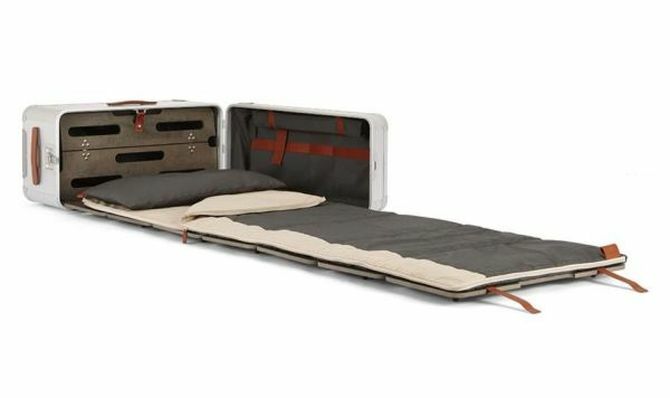 On the other hand, Bank Bedstation opens to reveal a fold-out, full-length bed for nomads or campers. 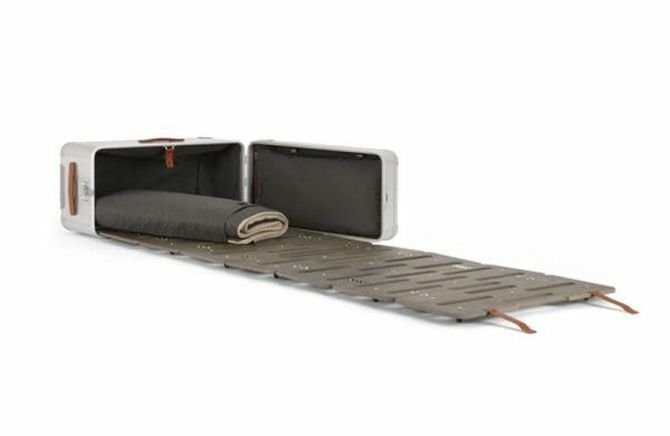 It further comes complete with a pillow and a sleeping bag cover, which perfectly fits over the wooden panels to form a comfortable place for sleeping. 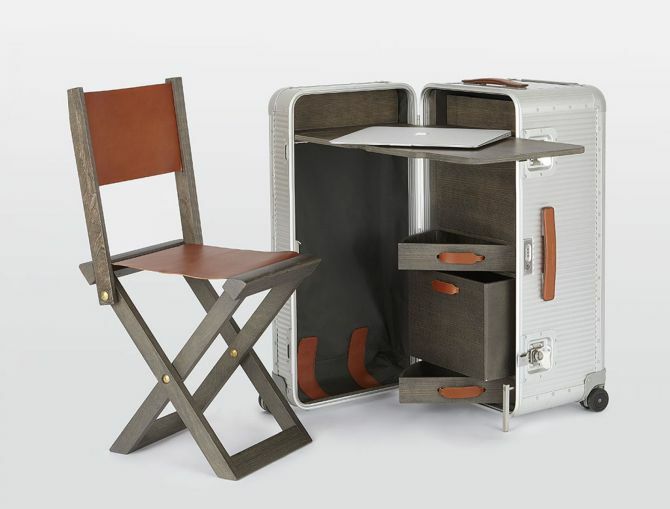 Just like the workstation, this version can also store away the entire bedding within the suitcase. It also features some additional pockets for keeping essential bedside items near you while you doze off to sleep. These simply luxurious nomadic products are easy to transport and assemble, hence making your on-the-go life comfortable like never before. The workstation is priced at €4,900 (approx. 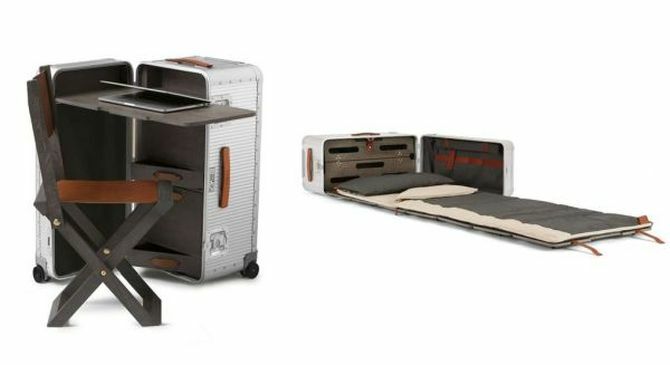 US $5,758) and the bedstation costs €6,900 (approx. US $8,108). Find out more information on the company’s official website.